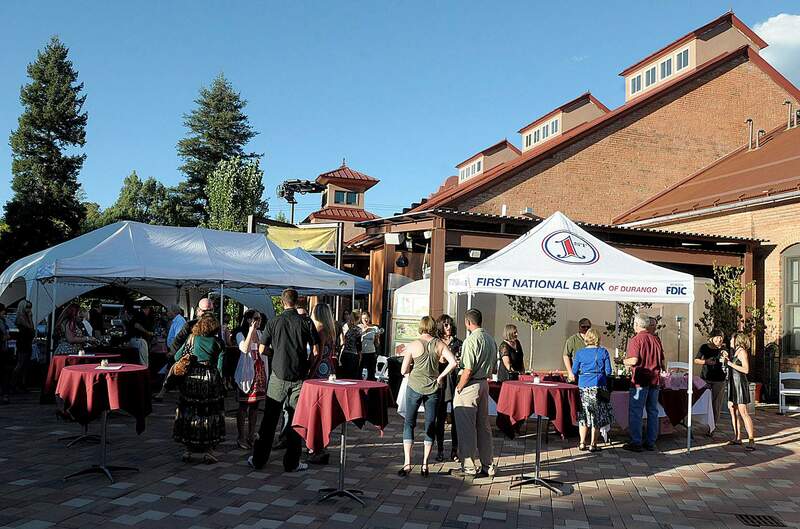 The plaza at the Powerhouse Science Center has been the site of numerous fundraisers and events, such as the Alternative Horizons Ninth Annual Wine & Music Fest in September. While the science center continues with its reboot, the plaza and Powerhouse are available for event rental. The reorganization and reboot of the Powerhouse Science Center after the center closed its doors May 9 because of financial problems will begin with the creation of short- and long-term plans. About 21 community, staff and board members met at a board retreat from 8:30 a.m. to 2 p.m. Saturday to get the planning started. The group broke into three task forces to plan the next three months, three to six months out and a plan for calendar year 2016, she said. The group is looking for a way to conduct a community survey to find out if those kinds of programs are what the community most wants, perhaps through the city of Durango’s Virtual City Hall, she said. On June 9, they’ll be meeting with the La Plata County Economic Development Alliance at its monthly meeting as the first of what organizers hope will be several community meetings. After clearing out the center of the plaza, the space now can hold a 216-person tent, she said. Naisbitt came to the Powerhouse after 14 years at the Telluride Science Research Center, which grew from a small science club with 90 members in 2002 to 1,520 in 2014 and reserves from $15,000 to $850,000 during her tenure, she said. And 99 percent of the income was earned income from memberships and programs, she said. As of 2013, the Powerhouse was depending on almost half of its more than $1 million budget coming from contributions and grants. Rentals of the facility and plaza are a key part of the center’s recovery. “That’s part of the strategy, to bridge us to our next step,” Naisbitt said. To reserve the Powerhouse Science Center for an event or wedding, call Executive Director Nana Naisbitt at (970) 708-0004. You must dial the area code.